40 people came to the Mabel Lake Community Hall Tuesday evening to hear a presentation of the proposal for an Watershed Interpretive Centre at Tolley Park near the Hall. 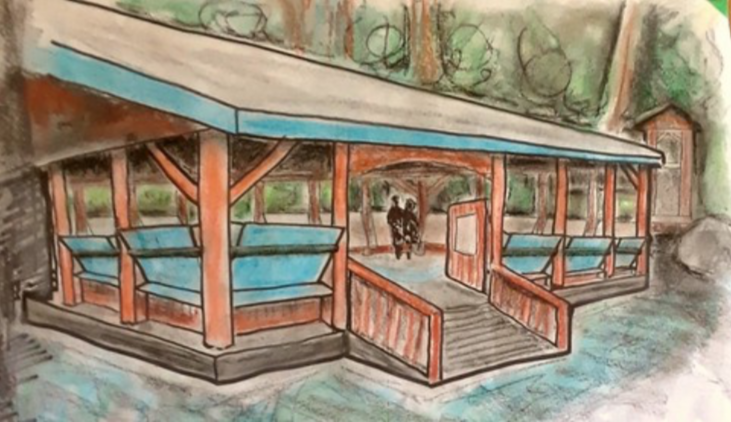 Thanks to a grant from the Monashee Arts Council, a proposal for an Interpretive Centre has been developed over the last few months. Further funding is being requested from various granting sources, and community support is key to acceptance. Apart from demonstrating interest, the meeting was a chance for the public to provide input and pose questions. The goal of the Centre is not so much to attract tourism as to provide a local base displaying information about our watershed, and to hold related events year round. Rentals and Club events will not be affected, except insofar as the displays will provide an added attraction. The proposal and presentation are attached.